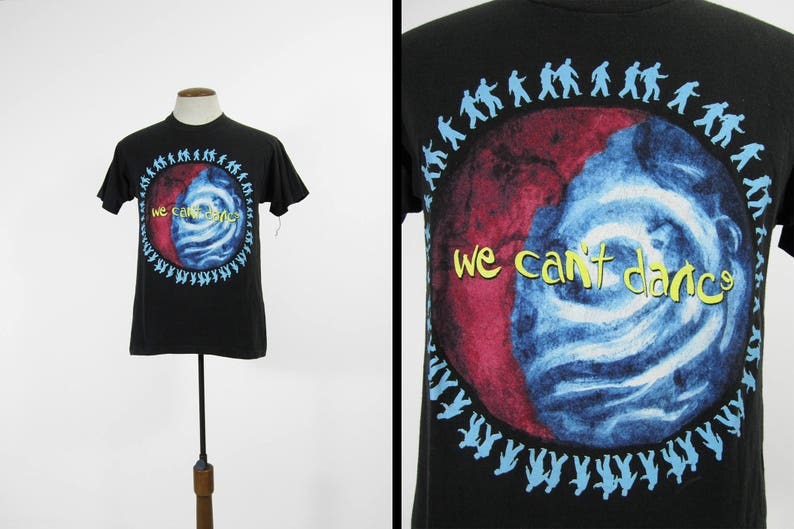 Made in support of the We Can't Dance tour, this Genesis t-shirt is in excellent, possibly deadstock, condition and dates back to the early 1990s. It has a huge vivid graphics on the front and back and was made in the USA. This shirt is labeled as a size large but please compare the measurements below to your favorite t-shirt, laid flat, before purchasing.